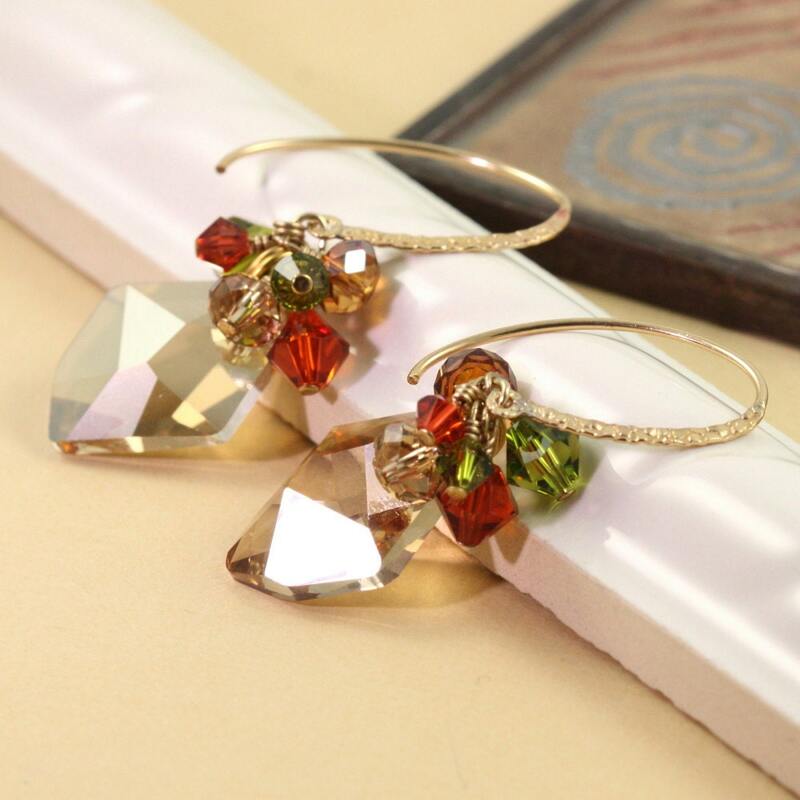 A cluster of sparkling crystals in olive green, Indian red, and light topaz hang from gold filled wire wraps. Look closely, the gold filled earwires have a texture finish for extra sheen! Great for a night out on the town! The golden shadow cosmic crystal measures 20x16mm. Earrings measure 1 3/4 inch or 45mm from top of ear wire.